Opening Reception on Tuesday, April 16, from 6 pm. Beyond the Cape! Comics and Contemporary Art. 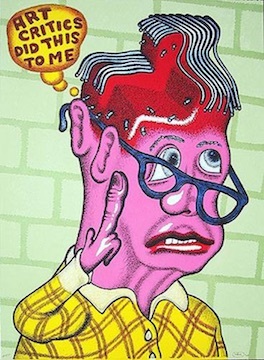 Renee Cox, Enrique Chagoya, R. Crumb, Peter Saul, Kenny Scharf, Elizabeth Murray, among others. Organized by Calvin Reid, Senior News Editor at Publishers Weekly and a leading expert in the field. The exhibit focuses on contemporary artists directly influenced by comics. On view until October 6.